I’m not normally one for making and eating dessert. However, for the start of my husbands birthday week I wanted to make him a special breakfast. Scouring Pinterest I came across this recipe for glazed donut bites using store-bought biscuit dough. 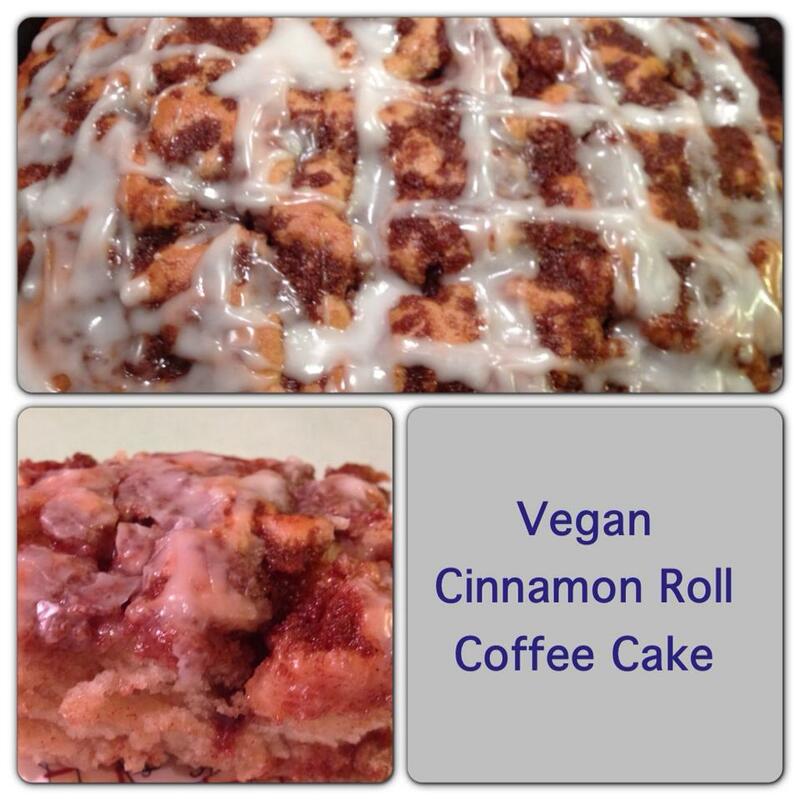 They are very easy to make and even easier to veganize. You can find cans of vegan refrigerated biscuits at most stores. I buy a Pillsbury one at Meijer’s. I also subbed Earth Balance butter and unsweetened cashew milk for the butter and milk. Thanks Recipe Swagger, my husband loves them! 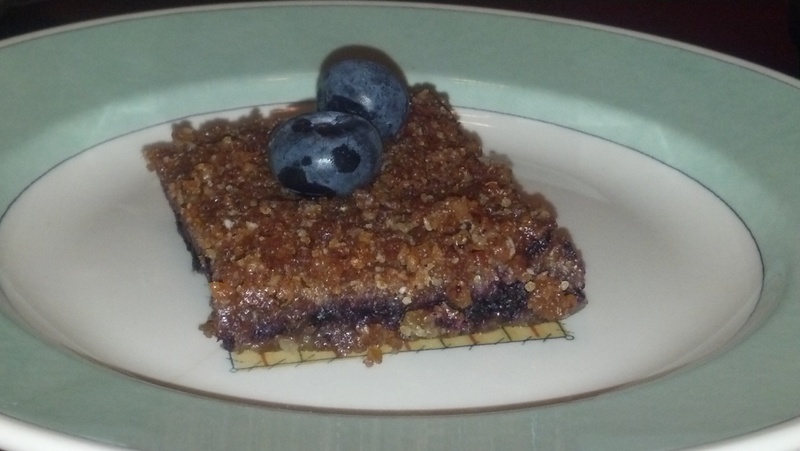 For my husbands birthday last week a friend made him some blueberry streusel bars. They were delish! I ate them for breakfast, snacks & dessert until sadly, they were gone. Craving more I decide to make a batch myself but wanted to cut down on the sugar and make them healthier to alleviate some of my guilt. The results were amazing! A friend of mine even gave them the “best dessert EVER” award! Even though there are 3 parts to the recipe, the crust, filling & topping, it’s actually pretty easy to make! The recipe uses nuts in the crust & the topping and although it’s a healthy fat, you may opt to cut down on some of the fat by replacing some of the nuts in the streusel topping with oats. Enjoy! Add crust ingredients to food processor and process until crumbly. Pat down into bottom of pan. Put all filling ingredients in saucepan. Lightly mash blueberries leaving them chunky & cook on low until desired consistency. spread over crust. Process streusel ingredients until crumbly and sprinkle on top of blueberry filling. Chill until crust sets, about an hour. Eat. Yum!